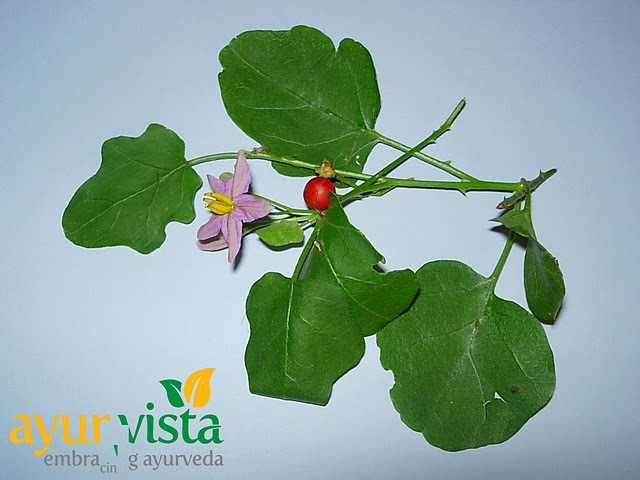 Purple Fruited Pea Eggplant is a thorny creeper with bluish violet flower, more commonly available in Southern India has been used traditionally in Siddha system of medicines to treat various diseases. This species is globally distributed in Indo-Malesia. 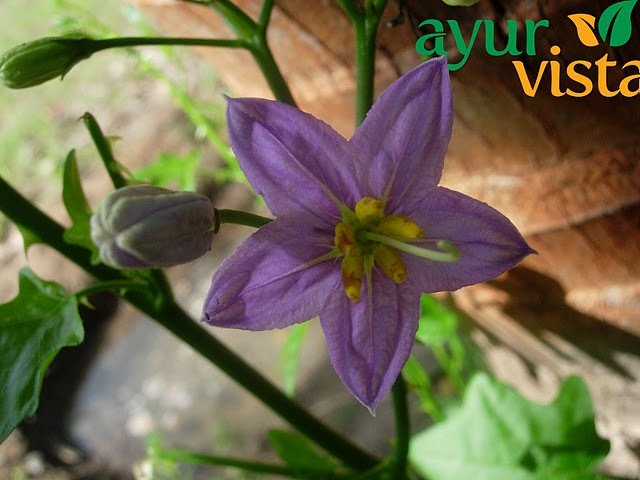 Within India, it has been recorded in Peninsular India along the highway and waste lands. 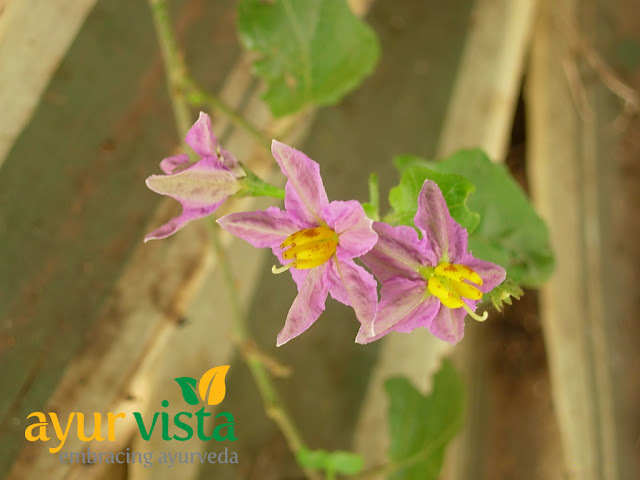 It has purple flowers shaped like potato flowers. The leaves have 3 or 5 lobes.